The 15th Annual SOL Bowl is happening THIS WEEKEND! Don’t miss your chance to bowl with and meet local celebrities and SOLA athletes! Join us this weekend! We will also have a silent auction, raffle, food, drinks, music, & prizes! Check out this awesome video from Over the Edge last year in New Orleans! After you watch it, click here to register for this years event on December 4th. Register for Over the Edge – Tomorrow! Tomorrow morning, August 20th, at 9am, registration will open for Over the Edge! 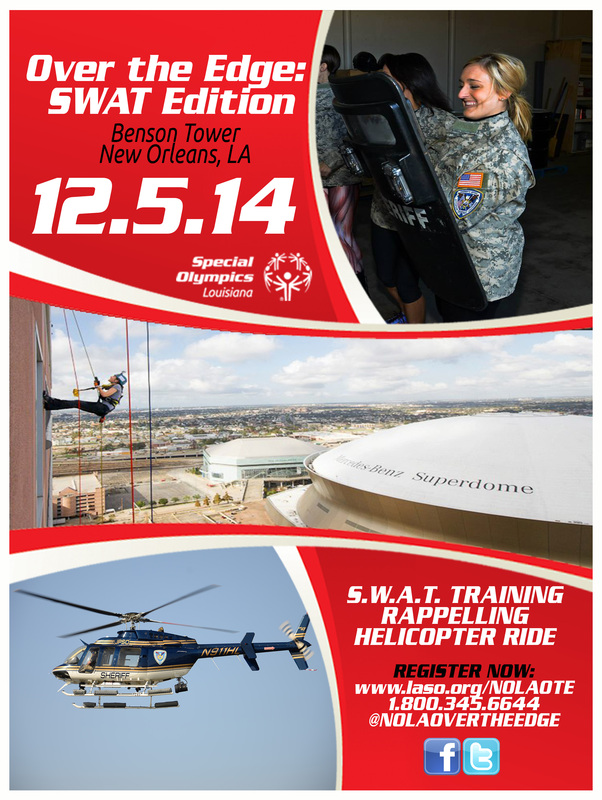 This thrilling event will take place on Friday, December 4th at Benson tower in New Orleans. You can click here to register! Interested in sponsoring Over the Edge? Please click here. We cannot wait to see YOU at Over the Edge! 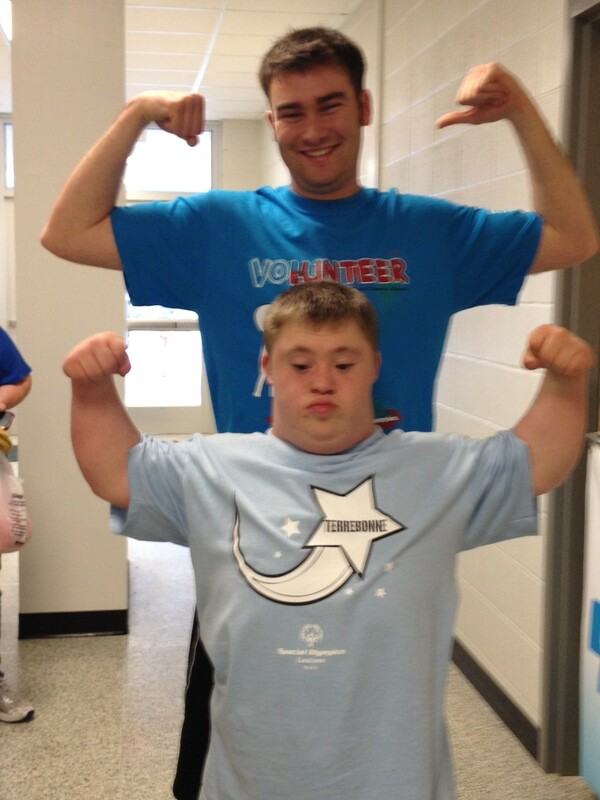 We hope all of you are having a great Friday! Be sure to FINISH STRONG! NOLA Over the Edge was a success this past Friday in New Orleans! Over 40 participants rappelled down Benson Tower then took aim at the Jefferson Parish Sheriff’s Office SWAT Training Facility. Throughout the day, you could hear Doug Mouton of WWLTV, speaking about the event and the participants. New Orleans own, 610 Stompers were even on hand to show us some dance moves and rappel! Thank you for being with us. We would also like to thank our Partners for this event: Cox Communications, McCranie Sistrunk Anzelmo Hardy McDaniel and Welch LLC, Special Children’s Foundations, New Orleans Saints, Corporate Realty, Ochsner, Jefferson Parish Sheriff’s Office, Kenner Police Department, Grooves Entertainment, and White Donut Productions. 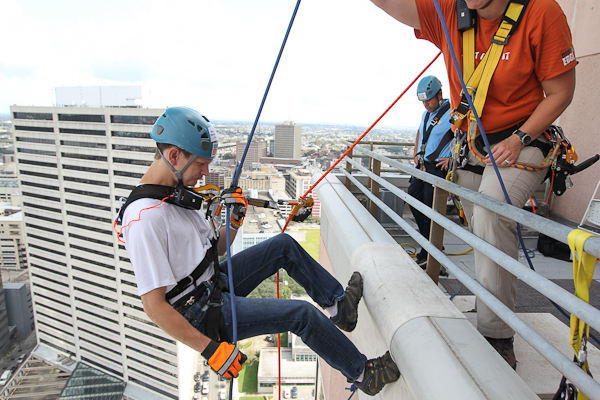 Thank you for your help with 2014 NOLA Over the Edge! We hope to see you at NOLA Over the Edge next year! Be sure and stay tuned to our Facebook page for pictures! Over the Edge is FRIDAY! 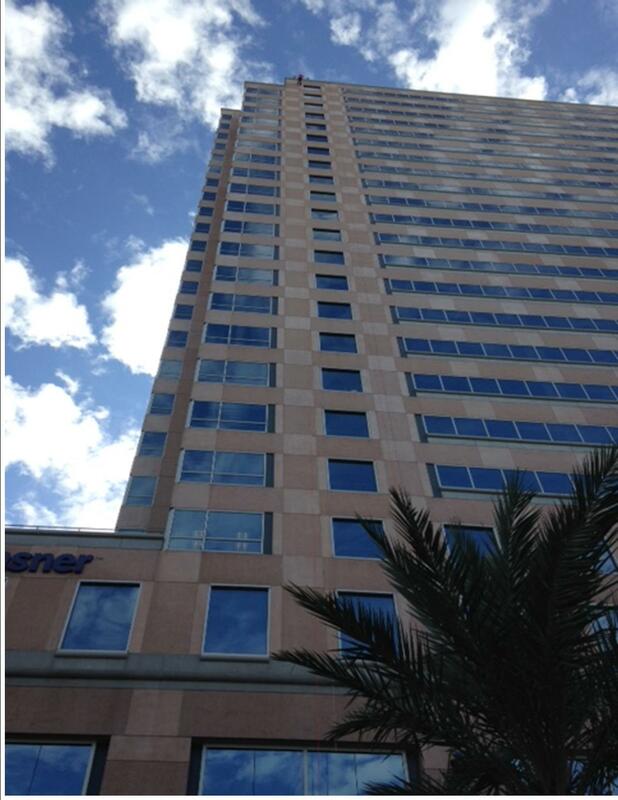 Over the Edge will take place this Friday in New Orleans at Benson Tower! We have many participants who come back year after year. Read below what Mr. John Charlet had to say about his experience with Over the Edge! You can register here. Why NOW, Why EVER? Why would a 71 (and a half) year old want to repel 25 stories and then ride a helicopter to go train with the Jefferson Parish Sherriff’s SWAT Team? WELL, first, it is REALLY fun! Second, it is for a great cause. Third, I get bored easily, so always looking for something to do. Fourth, great views from the building and from the Helicopter ride. All that said, I’ve always encouraged my five children (2 boys, 3 girls) to set their own limits on what they want to do and can achieve. We all love the outdoors and have all at one time or another done some repelling in the mountains. NOTHING this high, so it seemed a chance to get a new perspective. Did it last year, so was all new. This time, I expect to relax and enjoy the ride in a more leisurely fashion. Unfortunately, the repel guides won’t let me go head first to make this one different. Do come out and support this very worthwhile cause and watch the “Old Guy” glide slowly down the side of the Benson Tower without even a walker to help!